A few years ago, when I was on spring break with my family, we visited Parrot Jungle in Miami. 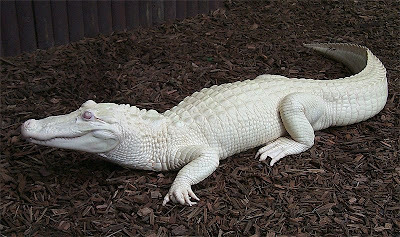 One of the animals on display was the magnificent creature below, an albino alligator. When I told my sons that the alligator would make a fabulous handbag, they were disgusted with me. I know it sounded and sounds morbid,but I never thought about killing this stunning reptile. What about waiting until he dies? The lifespan of an alligator is from 30 to 60 years. I think Hermes should sign up for his pelt. 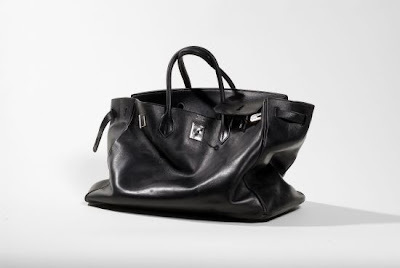 It would be a marriage made in handbag heaven! funny. Nice one. 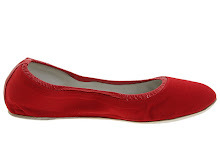 I am a kromstyle addict. I wait each day for my latest blast. Is the Dollar Sign the New Skull and Crossbones? Did You Know Mansion and Wisconsin Rhyme?